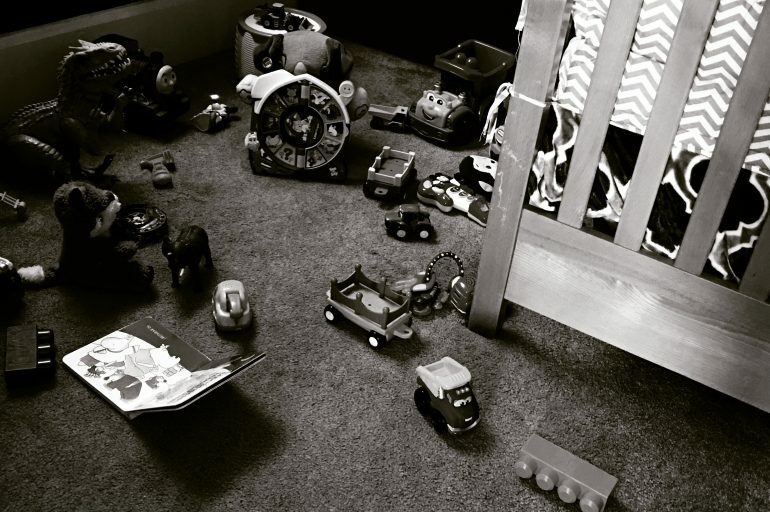 The young mother put the toys back on the shelf in her two-year-old son’s playroom. The final toy to be put on the shelf was his favorite, a see and say interactive toy. Her son loved pulling down on the yellow lever and listening to the voice tell him the name of the animal and then hearing the animal sound. He would pull that lever for hours, just to listen to moo-moo, cluck-cluck or bow-wow. She shook her head, fairly annoying sounds. She slid the toy into place on the shelf and listened, the house seemed so quiet. Blessedly quiet, she thought with a smile as she started to vacuum the now pristine floor. Her parents had decided to give her and her husband a little vacation, taking their son for the weekend. They hadn’t had a night alone for forever, it seemed. She paused in her vacuuming and gazed around the room. It was probably good for their little boy to get a little out of the house time too. Lately he’d been playing with an imaginary friend. Laughing suddenly, waving to empty corners of the room and carrying on two-year-old conversations when no one else was there. A shiver ran down her spine and she quickly looked around the room. Of course no one was there. That night, sleeping soundly in her own bed, the young mother awoke. A sound from her son’s room, she reacted without thinking. She slipped from the bed and walked down the hall. Maybe he just needs water, she thought drowsily. It wasn’t until her hand touched the doorknob to his room that she remembered. He wasn’t home. She slowly opened the door and immediately turned on the light. The toys she’d so carefully put away were now scattered all over the floor. She gasped in horror when she saw the see and say propped up in the center of the room, the spinner still moving and the sounds of a rooster filling the night air. Sent a shiver down my spine. Happens to me all the time and I live alone except for my furpeople. 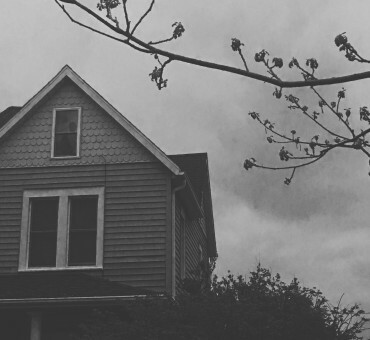 I find it comforting since I live in the house I was born in and am the last person left who has lived here. Just figure that Mom, Dad or Grandpa is saying hello.